Amazing Cabbage Recipes That You Will Love! Cabbage recipes transformed into delicious green smoothie recipes. Out of most of the greens, I thought that cabbage would have had a strong green flavor. 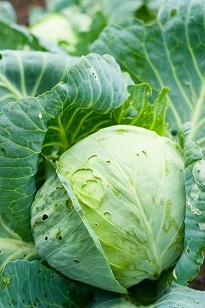 For the last two years, I have been hesitating on using cabbage in my smoothies. Today, I finally mustered up the courage to add some green cabbage in my strawberry banana smoothie. Wow! I could hardly taste it! Usually, I recommend beginners to use spinach and lettuce in their green smoothies. But now... Cabbage will be on the beginner green smoothie list also! I can add several cups into a smoothie and hardly notice the green taste! I even gave a glass of the raspberry strawberry cabbage smoothie to a friend of mine, who does not drink green smoothies. She didn’t even know that she just drank 2 cups of cabbage. The smoothie was a brilliant raspberry red. Amazing! Also, if you use green cabbage, it will not change the color of your fruit smoothie. This is nice for picky smoothie drinkers who prefer fruity colored smoothies. You can also use red cabbage to add a brilliant purple to your "green" smoothie. But the red cabbage seem to be stronger in flavor than the green cabbage recipes.